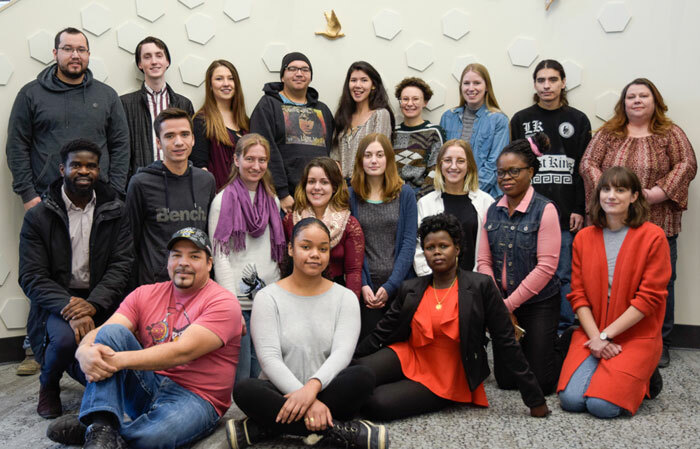 This innovative fifteen week work & study program enables Indigenous, non-Indigenous, and newcomer students to learn and work together within Winnipeg's inner-city. With funding from the City of Winnipeg, the program collaborates with students and community based inner-city organizations to cooperatively design work placements that meet students' skills and interests. Rooted in reconciliation, the program is a place for diverse students to wrestle with complex issues, better understand each other, gain work experience, and a post-secondary education credit. The work placements provide practical employment among inner-city residents and community leaders in the spirit of reconciliation. Throughout the course students will be introduced the theories of community practice in urban settings. They will explore intergenerational, geographically concentrated poverty and learn strategies centered on community practice, citizen mobilization, engagement, empowerment, and reconciliation. Most importantly, students will learn to connect these theories with their work in the inner city, using strategies and tools that can help communities from within as well as building bridges across the divides. The work placements provide valuable experience to bring to the classroom, and the classroom theories come to life in the work placement. Students work 4 days a week and spend 1 day a week in an Urban and Inner-City Studies course for academic credit. The program uses a roving-classroom, ensuring that students participate in diverse community settings and cultural experiences. Upon completion of the course, students participate in a student-led conference to share their learnings and experiences.